For those already dreaming of beach trips, it might be time to think about sunscreen, too. But not all sunscreens are created equal. 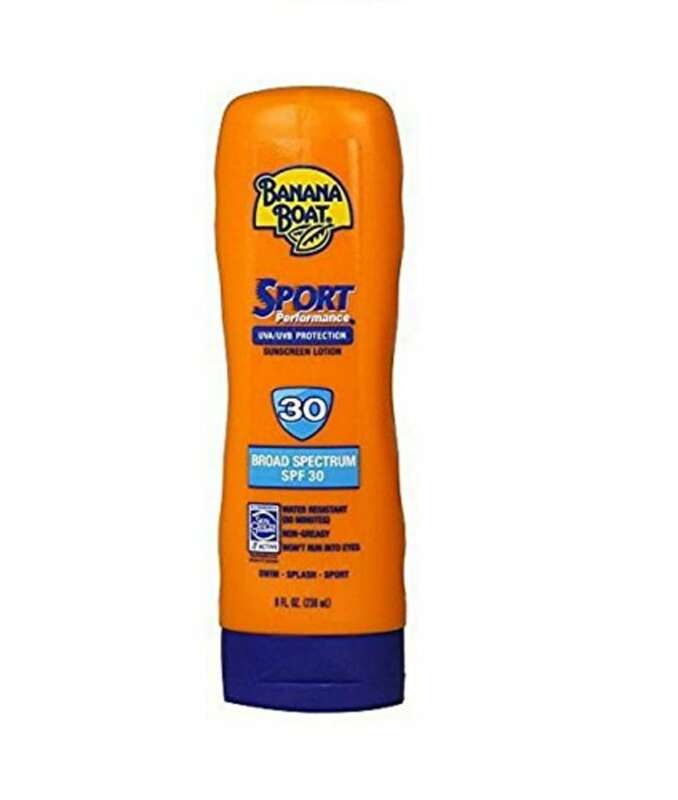 It can be hard to find great sunscreen for acne prone skin, the best sunscreen for eczema, a sunscreen for kids with sensitive skin or facial sunscreen for sensitive skin. Plus, some sunscreens don't work as well as they should, according to a report by the Environmental Working Group. And, many sunscreens on the market simply don't offer enough protection from the sun. So, we consulted with experts to help find the best for you. 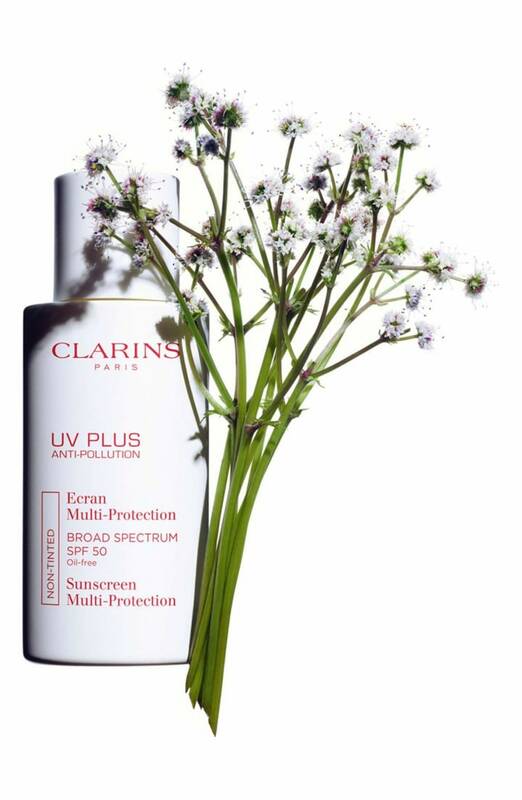 “Choose a broad spectrum product that protects against UVA and UVB rays — one that contains a physical and chemical block as well as a minimum SPF 30,” said Dr. Kristina Goldenberg, a dermatologist in New York City. People with sensitive skin should also take extra care when choosing a sunscreen to make sure the product doesn't cause irritation or breakouts. “There are many great formulas available," said Goldenberg. "But, if you're acne-prone, an oil-free, non-comedogenic lotion is less likely to clog pores and cause breakouts because it’s thin in consistency and easy to spread." Since sunscreen often becomes a part of a daily beauty and skin care regimen, we asked a few beauty editors for their favorite formulas for sensitive skin. “It’s the rare sunscreen you actually look forward to using. The liquid formula glides on like silk and instantly absorbs, leaving no residue. Yet, it makes skin feel soft and hydrated. Oh, and it has the prettiest, faintly powdery scent that actually earned a perfect score in our testing. Everyone who uses it gets hooked," said April Franzino, beauty director at Good Housekeeping. “For years, I’ve written sun protection stories in which I’ve told people to apply and reapply their sunscreen. The problem was that I couldn’t find a formula that helped me follow my own advice. I’d apply, but I’d never want to reapply due to the sticky feel and white residue. But, that all changed when I was introduced to this sunscreen. It feels like a dry gel, if you can imagine that — absolutely weightless, clear and easy to spread. And, because it is so inconspicuous on your skin, you (and your kids) never mind reapplying it. 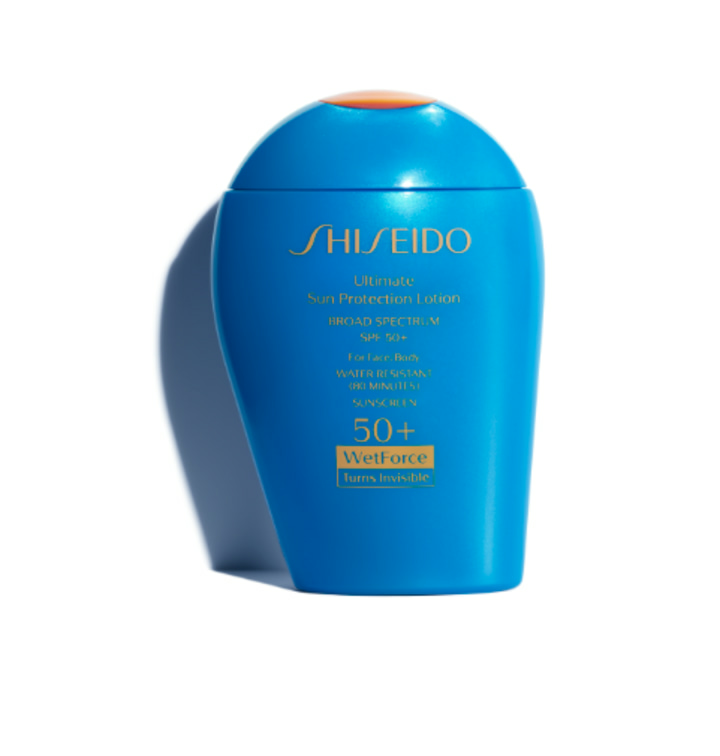 It has completely changed my sunscreen game,” said Didi Gluck, beauty and lifestyle director at Shape. 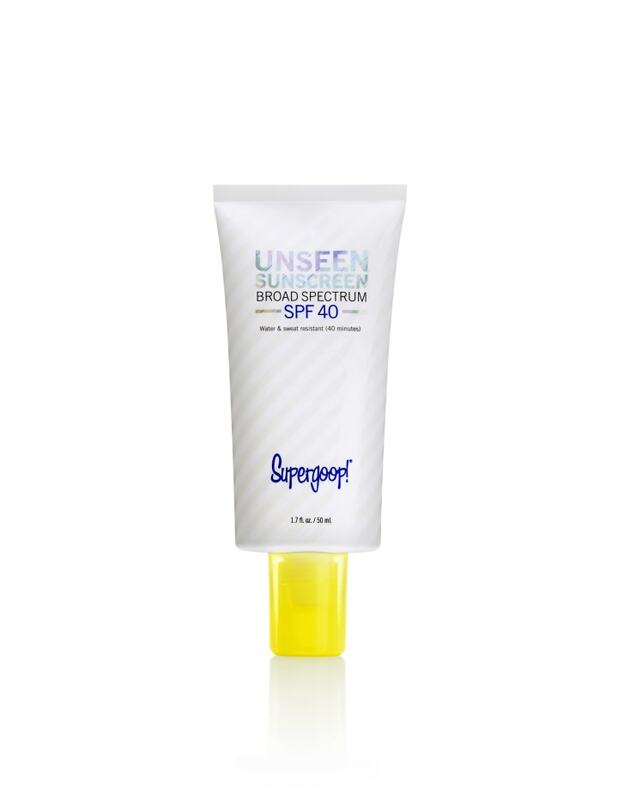 "This is the one sunscreen that’s been in my arsenal for years. It’s gone everywhere with me — from St. Barts to the Bahamas! I love that it applies with ease, doesn’t leave a sticky residue and still hangs on, despite sweat and the occasional dip in the pool,” said Jacqueline Gifford, travel director at Travel + Leisure. "Invisible sunscreen — it’s literally clear — is one of the greatest inventions ever. Gone are the days of crazy rubbing and awkward white lines around the perimeter of your face. I love the ease of this stick. Just swipe it all over your face, chest and neck. Then, massage it in. It contains a blend of oils to give you a really pretty glow and works super well under makeup,” said Marta Topran, beauty director at Cosmopolitan and Seventeen. “It is totally clear and is packed with good-for-your-skin ingredients. I use it as the last step in my skin care routine before makeup and all throughout the day. I also have applied it to my chest, ears, tops of my hands and toes — all of those sneaky, burn-prone spots,” noted Heather Muir, beauty director at Real Simple and Health. "In addition to sun protection, it packs feel-good oils that leave my skin glowing. I apply it straight from the tube before I put on my makeup. But, I also use it throughout the day to bring a fresh, dewy radiance to my cheeks. There’s never a chalky residue,” said Angelique Serrano, beauty director at InStyle. “This tinted formula was created for people of color. It blends into deeper skin tones and doesn’t make you look gray or ashy. Genius,” noted Julee Wilson, fashion and beauty director at Essence. "As a working mom, I only have 10 minutes, max, in the morning for skin care and makeup. So, I rely on multitasking products. 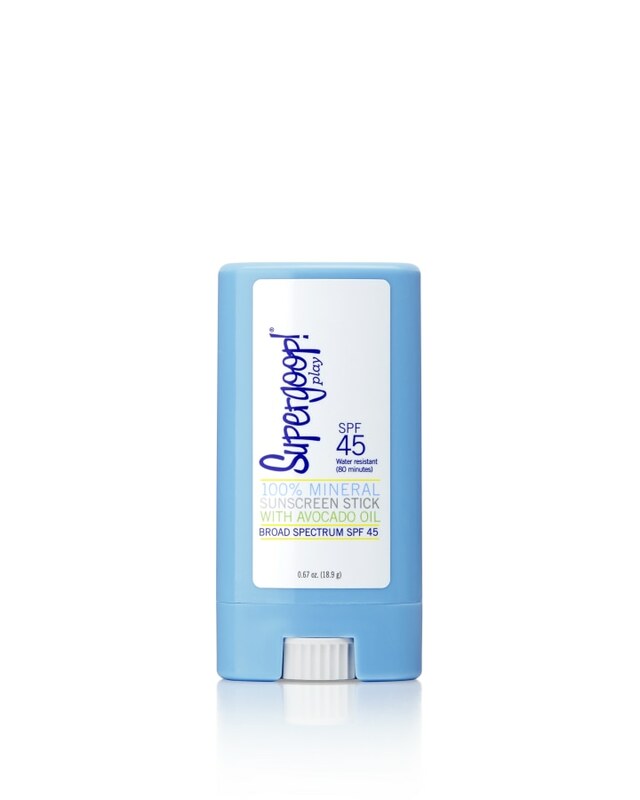 I absolutely love this sunscreen because it's my moisturizer, sunscreen and foundation all in one. Just a tiny drop is all you need to cover your entire face. And, because it's sheer coverage, it's totally goof-proof. It gives my skin complete sun protection and an instant glow,” said Alexandra Parnass, the executive editorial director of Elle and Town & Country. “I apply SPF to my face every single day, rain or shine, but the only product I consistently put on throughout the day — on myself and my children — is this mineral sunscreen stick. I keep it in my bag all the time. Even though it’s small in size, I’m able to cover my face, ears and neck in a few swipes. I love that the formula is made with zinc oxide, which is a mineral blocker, and that it never leaves a greasy or sticky residue,” noted Jamie Rosen, beauty director at Town & Country and Harper’s Bazaar. “I'm a long-distance runner, so finding a sunscreen that stays put while I'm sweating has become my life's work. This is the best one I've tried to date. The active ingredient is zinc oxide, so it sits on top of the skin to provide a physical block against UV rays. Sometimes, sweat can cause you to have to reapply your sunscreen like crazy, but I find the shea butter and coconut oil help this one hold on tight. I still need touch-ups on a long run, but since this is a stick, it's easy to apply and keep my pace. I just swipe it on, rub it in and keep on heading for that last mile,” said Ali Finney, senior editor at Well+Good. 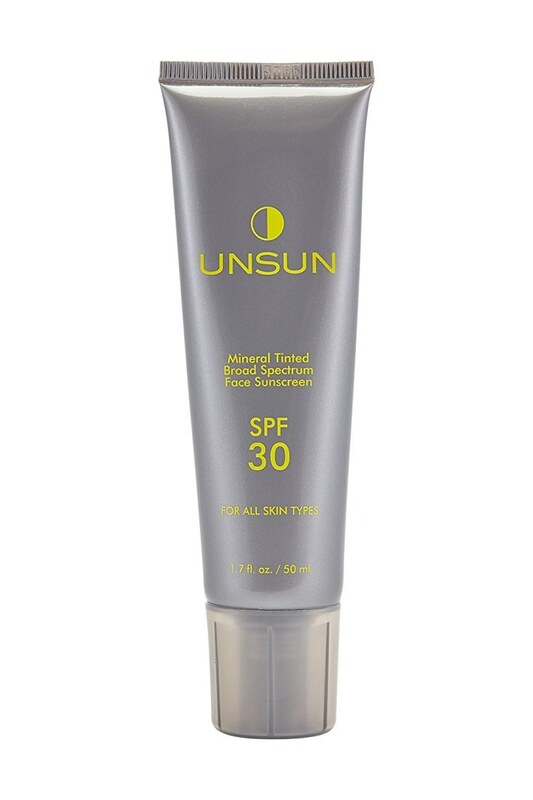 “If I had a dime for every dermatologist who recommended this sunscreen, I could build an invisible, UV-shielding bubble to spend my life in so I never get wrinkles, cancer or sunspots. But, actually, maybe I don’t need one! This product is just like an invisible bubble: The barely there gel is breathable and lightweight, truly clear and has a nice, high SPF so you know you’re protected,” said Jennifer Goldstein, beauty director at Marie Claire. 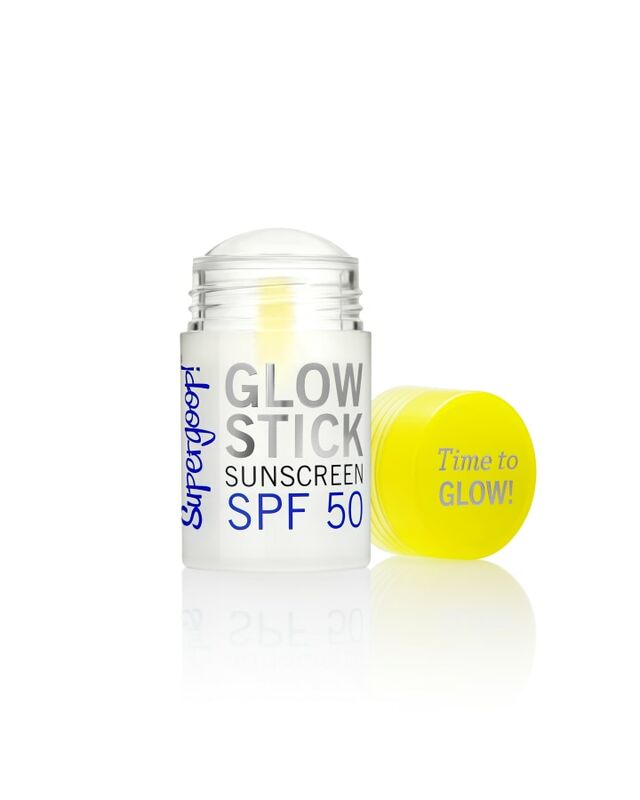 “This oil-free, zinc-based daily sunscreen checks every box: It's SPF 30, and doesn’t stink, look chalky or clog pores. It also leaves my skin smooth, so makeup goes on easily. I wear it every day,” said Erica Metzger, beauty and fashion director at Better Homes and Gardens. “The lightweight formula blends into skin seamlessly, but also has a subtle tint that truly looks good on everyone. I’m not a big beach makeup gal but I do like sheer coverage on my face. Plus, it never makes me break out and layers perfectly over an antioxidant serum,” said Dori Katz Price, beauty and fashion director at Family Circle. “I have dry, sensitive skin that freckles quickly. The serum texture means it’s lightweight, invisible and soaks into skin immediately without leaving a greasy slick — nor does it have that cloying sunscreen smell. This was my go-to during a two-week trip to Israel. In blazing sunshine, it performed flawlessly,” noted Melissa Goldstein, beauty director at Martha Stewart Living and Martha Stewart Weddings. 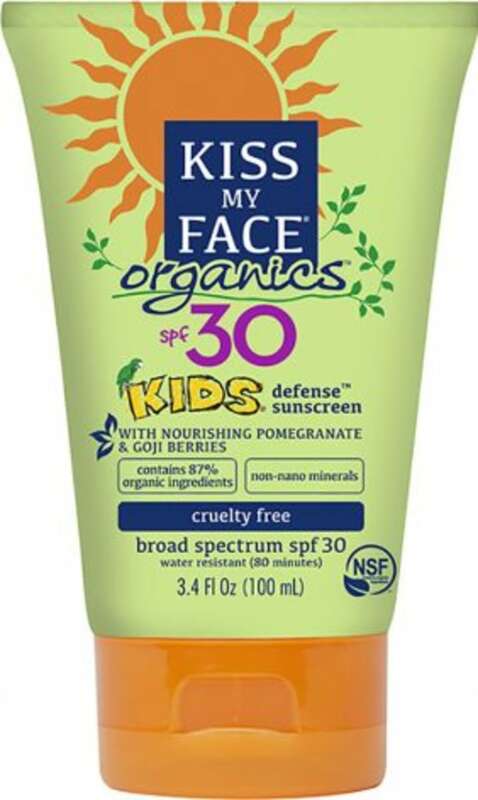 “I have always loved this line of sunscreens. They don't budge in water, offer full protection and never break me out. Just one problem: the pinky-white cast, which made me look like a ghost. That's why I'm so excited about this reformulation, which now goes on completely clear, feels even silkier on my skin and looks good on everyone,” said Cat Quinn, beauty director at Refinery29. “The most important factors for me when it comes to sunscreen are safety and efficacy. 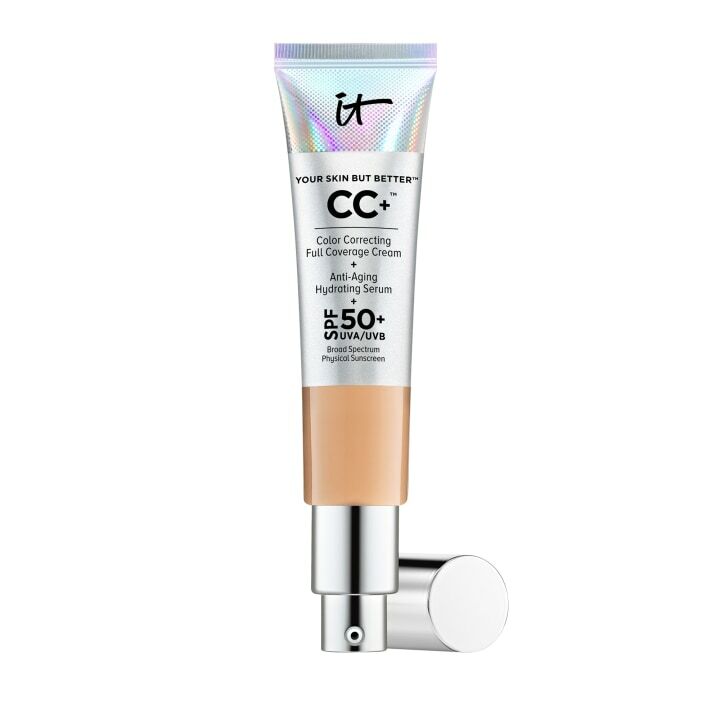 This formula has a strong balance of UVA and UVB protection using completely natural mineral ingredients, titanium dioxide and zinc oxide. That means there are no chemicals or potentially harmful additives whatsoever. 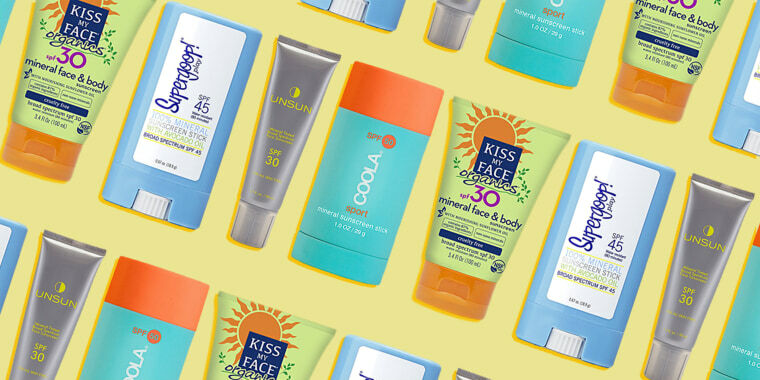 You might think sunscreens need a complicated mix of chemicals to work, but this one passes every safety test with only seven ingredients total," said Polly Blitzer, founder of BeautyBlitz.com. “This is my No. 1 sunscreen for three reasons. First, the texture: It's not too thick, not too light and it sinks into the skin quickly to leave a demi-matte finish while magically blurring over your pores. It's honestly better than most primers I've tried and makes your foundation or tinted moisturizer go on that much smoother. Second, I love that it's a physical sunscreen, yet doesn't leave a white cast behind. Third, the scent is so luxurious and makes putting on sunscreen feel like a special treat,” notes Faith Xue, editorial director at Byrdie.